Terry Salinger is an AIR Institute Fellow and chief scientist for literacy research at AIR. For over 15 years at AIR, she has conducted research that has focused on interventions for struggling readers of all ages; teacher professional knowledge of instructional practice in reading; and measurement of literacy skills through both standardized and informal assessments. Dr. Salinger's current responsibilities at AIR include serving as project director on an i3-funded evaluation of the Children’s Literacy Initiative and on an Institute of Education Sciences-funded grant to produce a battery of items to measure in-service teachers’ professional knowledge related to successful early reading instruction. She also leads a project funded by a large retailer that is investigating different models to improve reading instruction in urban schools. 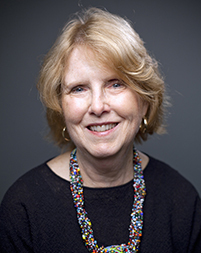 Prior to joining AIR in 1997, Dr. Salinger's professional experiences included serving as the director of research at the International Reading Association; leading the development of tests within the NTE/PRAXIS series and conducting research on classroom-based assessment approaches at Educational Testing Service; and teaching graduate and undergraduate courses in early childhood education and reading instruction and theory as a faculty member at the University of Texas at El Paso and the University of Cincinnati. She began her career with ten years of experience as a New York City public school teacher, during which time she also did clinical intervention with adult struggling readers.